I recently did a guest post for Shruti who is author and blogger for Cooking with SJ. I would like to thank Shruti her space to share my recipe. I recently connected with Shruti and simply love her recipes. She is an adorable blogger who is always helpful and filled with enthusiasm. I’m glad I connected with her and found a loving friend. Do visit her website as she has some lovely recipes to share and share love for food.This is what she has to say – “Hello Foodies, I’m Shruti!!! Errr… SJ from cookingwithsj.com All what I love is ‘Cooking & Clicking’ n of course, gobbling up after that found many friends in blogosphere and a few got quite close in short time-span… And this beautiful lady is one of them! Thank you so much for being a part of my series and hope to run some food campaign with you soon!!! 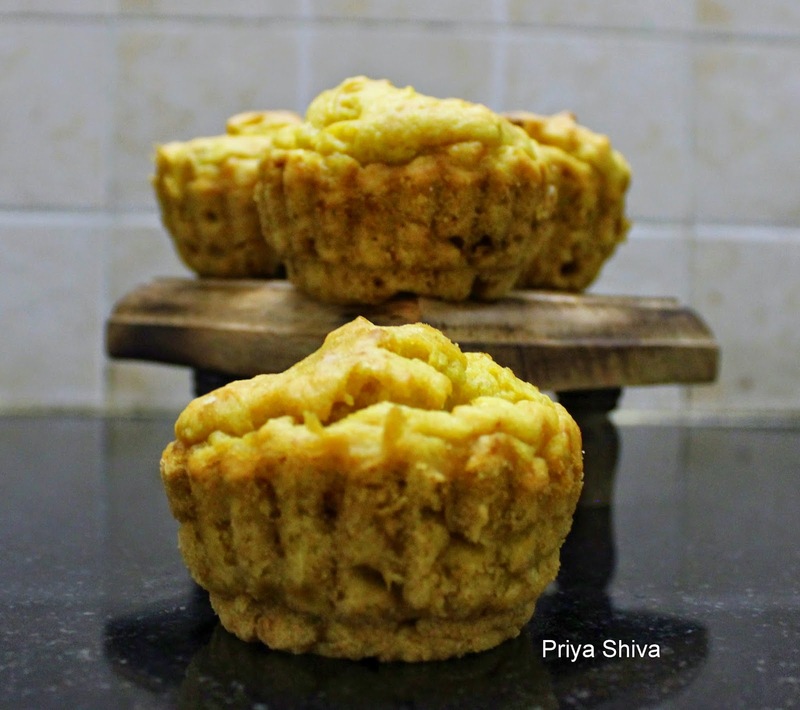 “Its season for mangoes and this is an easy recipe to make some egg-less, butter-free Vegan Muffins. 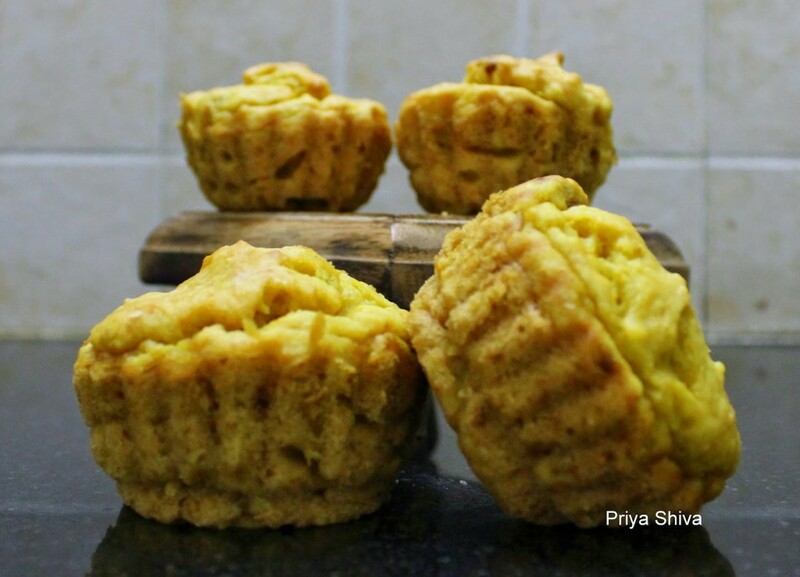 They are filled with goodness of ripe mangoes, raisins and nuts and perfect to serve as breakfast. 1) Sift all purpose flour, baking soda and baking powder into a bowl. 2) Add sugar and mix it well. Now add mango puree, cooking oil, vanilla essence and fold. Do not over-mix, only the flour needs to get wet. 3) Add raisins and cashews and give a quick stir. 3) Preheat oven at 180 degree Celsius. 4) Grease the muffin cups with some oil evenly or use liners and add the batter to it. Make sure to fill each cup till 2/3 cup. 5) Bake at same temperature for 20 minutes. Check after 20 minutes by inserting a toothpick at the center of the muffin. If it comes out clean, then your muffin is done or else continue baking for 5 more minutes and keep a watch on it. Tips: Peel the mango and remove the seed. Chop and add it in your blender to make puree. These are so yummy. What is we don't have ripe mango puree? And where does one get it from? wow they look so yummy.. Thank you for visiting my space. I think you can substitute sugar with Stevia though I've not tried that way. Yummy! I love mango and I love recipes with all natural ingredients. A lot of times when I see eggless recipes they have some kind of additive in them and I am not sure if the recipe is any better because of it. This looks great though! mm delicious! i can smell it from here, lol. I want to make this! I love the fact that it has raisins in it, that makes it so tasty!! Mango is perfect in baking! They look delicious! I've made these before and they are great. THank you so much for dropping by The Weekend Social! I loved this recipe! Mangos are a favorite with me! I now have a another recipe to use when we harvest our mango tree!